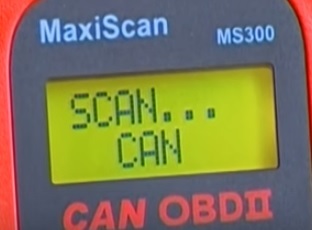 The Autel MaxiScan MS300 is a low-cost diagnostic scan tool code reader for vehicles 1996 and newer. Since it a low-cost OBDII scan tool this makes it ideal for those on a budget, just don’t expect all the extra features an expensive model would have. …It will display the error codes for most any car 1996 or newer. …It will clear error codes. …It only shows the code and than it will need to be looked up online or in a book. There is no library built-in to show what the code might be. …Low cost scan tools almost never get a software update so dont expect one. …Does not have built-in power and is powered by the OBD2 connector. 1… Plug the cable into the vehicles OBD2 port under the dashboard. 2… Turn the vehicles key to the ON position. 3… Press the enter button on the unit and it will start to scan for codes. 4… If there is a code it will give the code number otherwise it displays no codes. 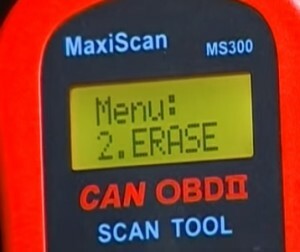 5… The MaxiScan MS300 has a simple menu to navigate the options including erasing a code if found. The MaxiScan MS300 OBDII scan tool is built for the DIY type person looking to see what is wrong with their car on the cheap. It is not built for a professional working environment but for occasional use. There are not any added features and is a basic scan tool that will show error codes and clear them if necessary. 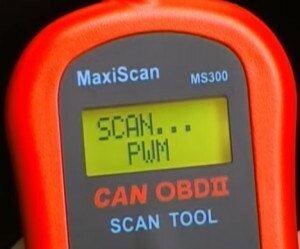 It is a good OBD2 scan tool as long as you know its limitations. 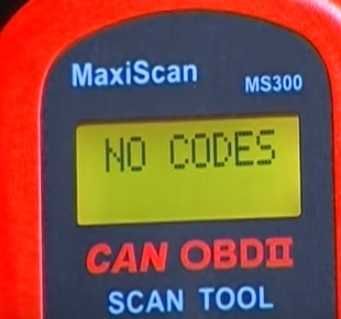 do you know if this will read and then be able to reset and ABS code? ?